Laci Rocha Peterson, 8 months pregnant, was last seen by her sister, Amy, in the late afternoon of December 23, 2002. She spoke to her mother, Sharon Rocha, at 8: 30 p.m. that night. This would be the last time anyone from her immediate family ever spoke to her. A search began which lasted an agonizing four months. Sadly, Laci Peterson and her son Conner were found dead on the shores of San Francisco Bay on April 18, 2003. Her husband, Scott, was eventually arrested and charged with the murder of Laci and Connor. After a sensational, media-saturated trial, Peterson was found guilty of capital murder and was sentenced to death on March 16, 2005. 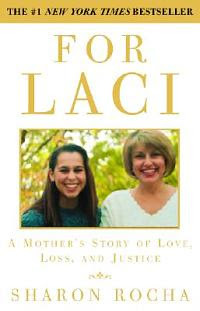 That's right,another book on Laci Rocha Peterson.But this one is special because it is written by her mother and takes you to the heart of this tragic case.Sharon Rocha provides bitter sweet memories of Laci as a child.We all have funny stories that are unique to each child.I remember my daughter and I having a conversation once.I think she was about 10 years old and she made a reference to her "pagina" and when I started laughing she said "Ag Mom I know it's called a "bagina".This book details all those little quirks that were unique to Laci and told from her mother's perspective as only a Mom can tell.I really felt I had a good idea of the kind of little person she was and therefore a good idea of the adult she became.Sharon Rocha doesn't just sugarcoat all the details (as we are wont to do when someone has passed on).She does include the fact that Laci was stubborn and very strong willed.That she was the bossy one when it came to relationships.To me she was still very likeable.The next part of the book covers Laci as a young adult,her experiences when she was studying,her dreams of owning her own shop one day,her relationship with the one boyfriend and finally meeting Scott Peterson and their subsequent marriage.This is all told from Sharon Rocha's perspective.If she did not know details firsthand then it was not included.Some of the information is from direct conversations with Laci herself or gained from the extended family.And finally,Laci's disappearance,what the family goes through finding out what is going on,the discovery of the bodies,Sharon's own insight as to the behavior of Scott Peterson while this is going on and then last,but not least,what the family goes through during the court case which finally ends in a conviction for Scott Peterson,where he is sentenced to death. I am (as my daughter would say) very "emo" but when it comes to stories written by mothers about their dead daughters,I am out of control "emo".I seem to be reading those books lately as in "Loving Natalee". "Who Killed My Daughter" is another one I have read.I was,true to form,crying from the first page,and then I regained some composure as we went through Laci's early childhood and young adulthood,then I started losing it and finally when Sharon Rocha read out her letter to Scott Peterson which she did just before he was sentenced.It was an amazing letter and by that time I was bawling,loudly.I feel stupid now but the letter was wonderfully written and straight from the heart. when Scott Peterson is sentenced to death Laci's Dad turns to Lee Peterson(Scott's dad) and says "sorry".Lee Peterson then swears at him.I have read books on this case and this book confirmed my stance on "nurture" being the most basic reason for the creation of monsters.His parents spoiled him and yet seemed to mix this up with selfish interests of their own.Over and above the fact that his mother Jackie Peterson herself had a horrific childhood.This is going to sound terrible but I was so angry about this behavior that my first thought was "Thank goodness Jackie Peterson gave up two of her children for adoption as the one she raised herself,she raised to be a monster".She actually raised John as well and he has turned out ok,as far as I know. Since then Sharon Rocha fought hard for the rights of unborn victims.The jury in this case only charged Scott Peterson with the 2nd degree murder of the baby,Conner Peterson and that was a bitter pill to swallow especially if you consider and believe the fact that Laci Peterson only ended up murdered because she was pregnant.Scott Peterson did not want children.I believe baby Conner was the primary target in this crime.This case is truly highlighted in the book Erased by Marilee Strong(link below). Now to answer Missy's question about which Laci Peterson book I would suggest reading.If you are manic like me then you should read all the books I list below but otherwise consider from which angle you would like to get your information. If you would like to find out what was going on behind the scenes and what families of victims go through in crime cases then I would suggest the book above,For Laci by Sharon Rocha. 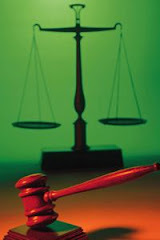 If you would like to delve even further into what went on during jury deliberations bearing in mind that juror no 5 was kicked off the jury.He is the one that says he would have acquitted Scott Peterson because Laci was much better looking than Amber Frey,that pregnant women are full of s**t.I dread to think what would have happened if this bombastic oaf had remained on the jury. Or if you would like to get the version of the story from the "other woman" Amber Frey.I hated this book's cover and still do.Also I do not have much sympathy for women who sleep with other women's husbands.Granted she did not know at the time that Scott was married but she had had an affair with a married man before so I don't think this would have stopped her if Scott Peterson didn't end up killing his wife.In fact she would have done Laci a favor by sparing her life. And then finally if the thought of all these books are terrifying then there is a DVD on this story although Sharon Rocha says it is mostly inaccurate.I did see it and actually would love to watch it again now that I have all this other information gained from these books. For extra information the book Erased by Marilee Strong.This book however covers a few cases and is meant to highlight Eraser Killings which is the "wiping out" of one's spouse from your life for no other reason than they have now become inconvenient. Missy,you can get the ISDN numbers of these book by clicking the links.They are just further down the page. I virtually cringe every time I have to type Laci Peterson.I would prefer to type Laci Rocha.I have a BIG problem with the fact that women who are murdered by their husbands still have this murderer's surname on their gravestone.I think that you take on a man's surname in honor of your marriage to him.When he ends up murdering you I think that should fall away,especially if there are no children from the marriage. (I think the little ones would like their mother to have the same surname as they do. )Do you agree with me or have I lost the plot finally? Thank you SO MUCH for the list of books. I am definitely going to read the one written by her mother. Thanks Missy.I await your next question with absolute glee! I agree with you 100% on this Yvette, although I had never thought of it before. I'm sure the families would prefere not to have to see the murder's name on the headsotne of their beloved daughter. Thanks for listing the books from the different points of view and thanks for the links directly to Amazon. I'm going to look into the book "Inside the Mind Of Scott Peterson." Sharon I meant headstone not gravestone.You always correct me in the most subtle way.I am going to correct that now.I think you should become my "editor". I understand what you are saying but legally at the time of death her name was Peterson. No matter how much we despise Scott. We have to go by the legal name. I wish there was a way around it. Shannan thanks for stopping by.I cannot for the life of me remember which book it was but the family of the murdered wife did have her maiden name on the headstone.In this case I think there was a problem as Laci and Conner both had the same grave and Conner was definitely Conner Peterson so it was better for Mom and Baby to both be Peterson.But yes I think it is a easier decision when there are no children involved.It is so sad when I think that little Conner Peterson would have turned 6 this year and starting school. I'm glad you made this post, because I was considering buying a book on this case. I didn't know Dr. Keith Ablow also wrote a book. I bet that one is especially interesting. Do you know if that one and Mrs. Rocha's books are in paperback? And I couldn't agree with you more about murdered wives having their husbands last name even after death. I was proud of my daughter for not changing her maiden name after she got married! Why should she? Why should any woman? You really hit on something there. I wonder how come I never heard that said before! Way to go Yvette! This was a great post. They are both available in paperback.Dr Keith Ablow's theory on this type of crime centres around his "perfect storm" scenario where disturbing factors enter the mind of the killer at the same time rendering the killer "helpless" to how he chooses to deal with them.He also goes into detail about the parents of Scott especially the Mom.Basically the focus is on "nurture" which I agree with totally.I have read too many books on male killers with dysfunctional mothers to not believe that it has an enormous impact.Maarilee Strong's version of how this happens basically only gives a name to this type of murder but not much explanation on how it happens.The only thing I disagree with Dr Ablow is that the killer is temporarily insane.I see that we are now looking into a "guilty but insane" verdict which means the offender spends the rest of his life either in a mental institution or jail.I prefer that to "not guilty by reason of insanity" where no one is assured that the offender spends his whole life incarcerated. Your review of For Laci really touched me Yvette, I'm going to see if I can get this one. Having had a daughter die (medical reasons not murder)I cannot imagine how horrific it would be to look at a headstone for your loved one & forever see the murderer's surname. I could not agree with you more! Teddyree,I am so sorry about your daughter.When I suggested these books for you I had no idea.I really hope that this doesn't bring up painful memories.Like Beth Holloway states "You will always be your daughter's mother" No one can take this away from you and the memories of the time you had together. I totally agree with you. If my husband murdered me there is no way that I would still want any part of him. I have followed this case from the beginning. Probably because I have been told a lot that I look a little like Laci. I felt so bad that she was murdered and to this day-I am not saying that Scott isn't guilty. But I have read 3 books about the Laci Peterson trial and I just can not see where they got deep down hard evidence that Scott was guilty. I read the book that Amber wrote, I also read the one that Scott's lawyer wrote, and I read the one that his sister wrote. I believe that he did kill her and I am glad that he got the death penalty. But I just have not read or heard anywhere where it has deep down hard evidence. No one gang up on me or anything, lol. I have followed this series from day 1, I just would like in your face facts that just pops out at you like "THERE"
1-the fact that he told Amber a month before Laci went missing that she was "lost"
I have lots more and I know it is circumstantial evidence but sometimes that's all you have when the killer has hidden the bodies so well.Hard evidence: the bodies washed up in the exact bay that he had gone fishing and seriously who goes fishing this close to Christmas?